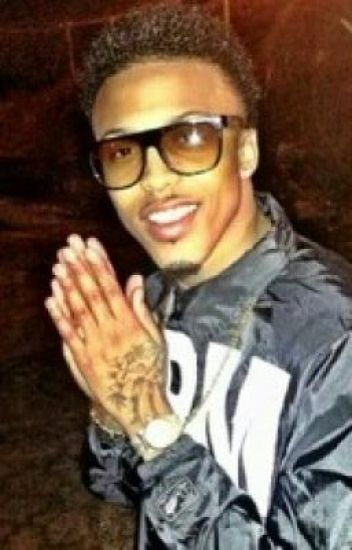 I thought life will never be this hard till I met August he was a tall caramel tatted up pink lushes lips. He was perfect in my eyes at least. The world thought he was just some type of animal that should be looked up. He ran the streets of New Orleans, Louisiana. sweetheart we are moving to New Orleans, Louisiana. I got up so quick and ran to my room. I can't believe this is really happening to me .First she is barely ever home and when she is home it to taunt me about my grades being A's not B's and how this is unacceptable blah blah blah. I tone her out. I don't have a clue to who my father is to me he just a sperm donor. I lived her all my life how she can do this. My life is here and Brooklyn, New York. What about my best friend Brittany where is she going to stay she has no one. Keara is all grown up!!! Sometimes everything isn't meant to be. Sometimes things are just perfectly put together. In this case, everything isn't meant to be .. or is it? Take a ride with Tamera, Arriana, Naya, Janiah, Joy, Nia, and Autumn - and get a bit of an understanding of what's really meant to be. Don't know where i'm going with this, but maybe you do. Enjoy. This is a story about  a princess who falls in love with a beautiful Prince. They decided to live normal life's, get a normal education, etc. 18 year Ma'Ziya Is The Definition Of Pretty. She Has Long Light Brown Hair , She's 5'2 & All A Boy Could Ask For. Jerimih Is A Thug , The Type That Stays Out All Night Long. Hitting & Quitting. 6'1 Lightskin , Small Curly Afro & All A Girl Could Ask For. What Will Happen When These Two Come In Contact With Each Other.